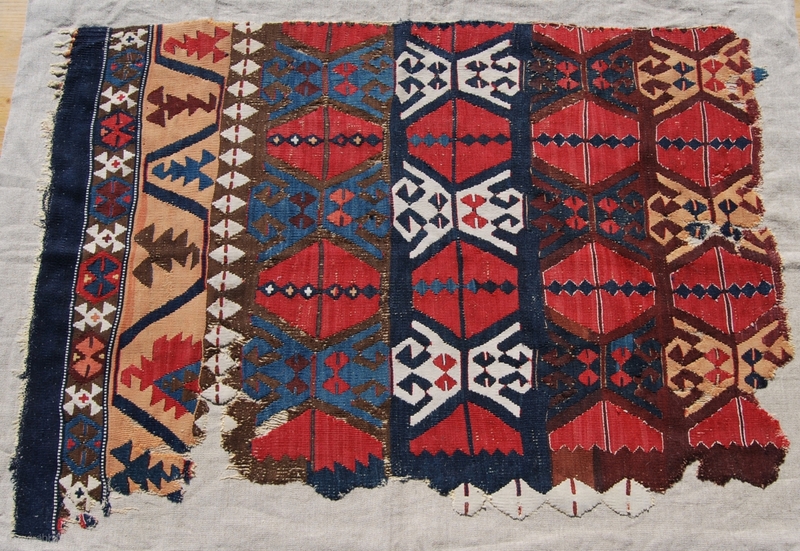 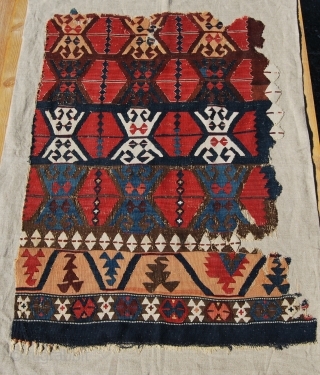 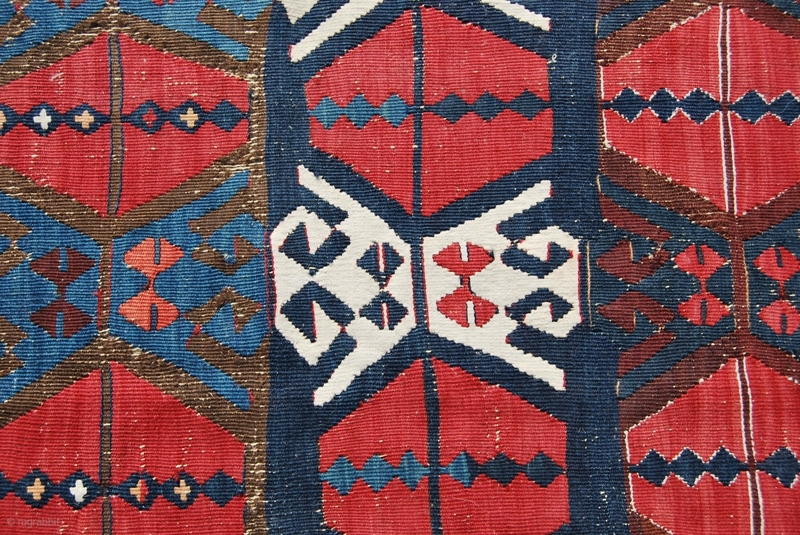 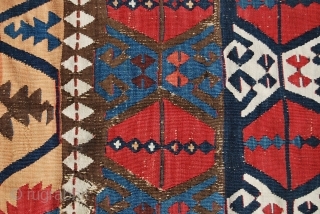 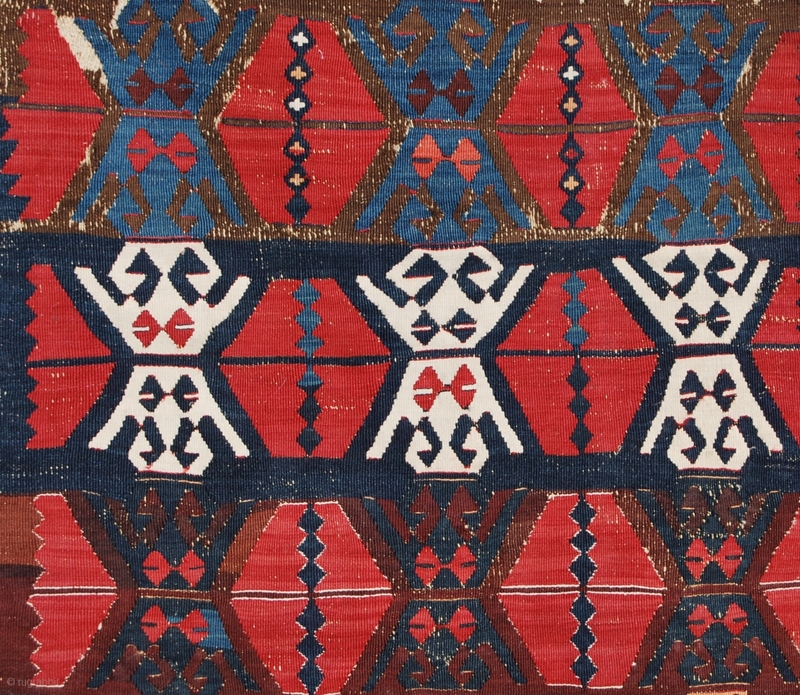 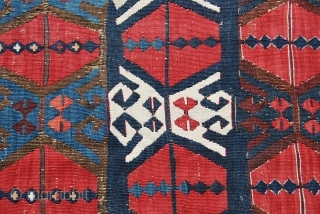 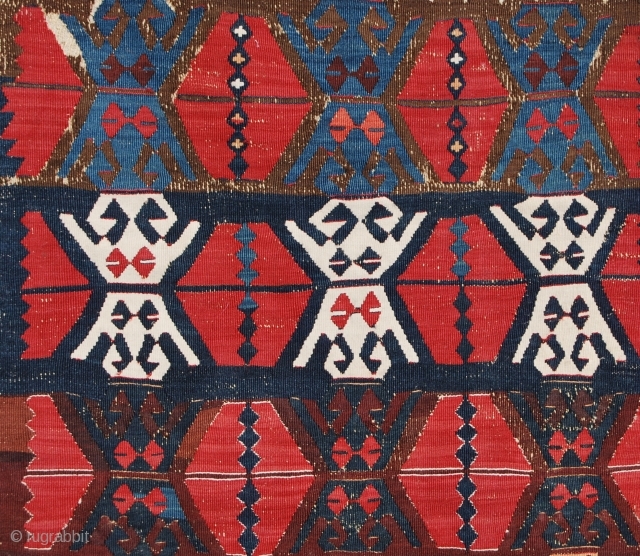 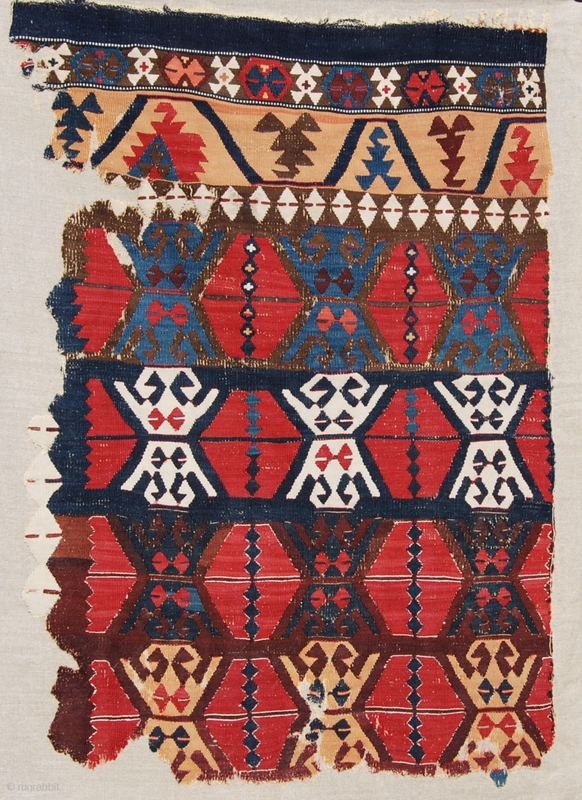 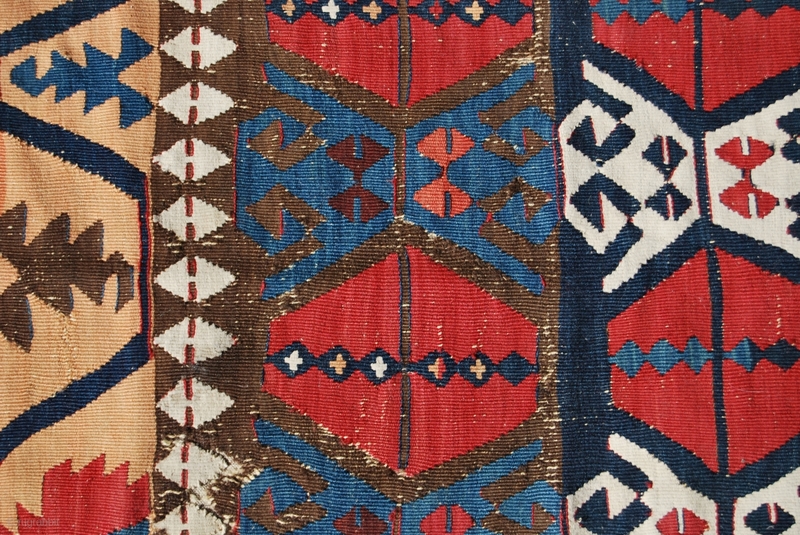 East Anatolian Kilim fragment, almost certainly Adana. 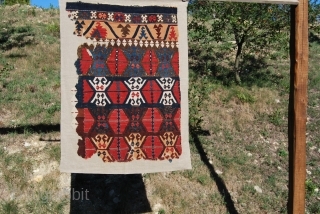 Size is cm 70x100 ca, while is cm 84x116 mounted. 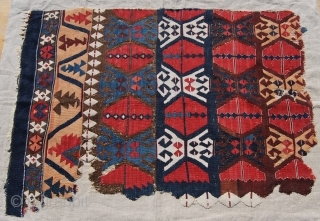 Mid or late 19th century. Fantastic natural saturated colors. 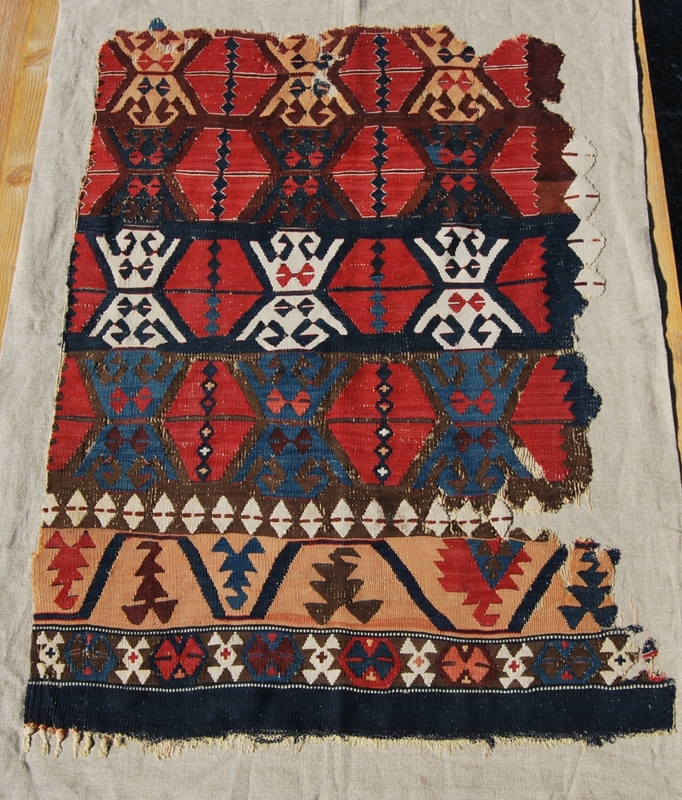 Incredibly beautiful madder red. 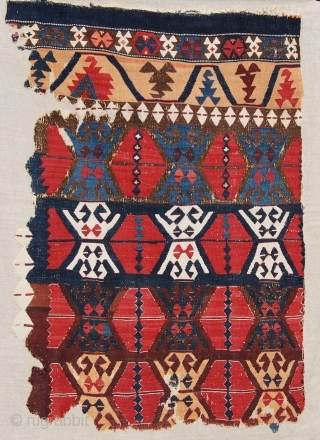 The perfect fragment!